The Storer Life Sciences Lectureship presents Mary Power, Ph.D., of UC Berkeley. Dr. Power is an ecologist and a professor in the Department of Integrative Biology at UC Berkeley. Her research focuses primarily on food web, landscape and community ecology,. She often performs her research close to home in the Eel River of California. Her research seeks to provide insights that will help forecast how river-structured ecosystems will respond to watershed and regional scale changes in climate, land use, or biota. Since 1988, she has been the director of the Angelo Coast Range Reserve, an 8000-acre natural reserve protected for university teaching, research, and outreach. Dr. Power has been elected to the National Academy of Sciences, the American Academy of Arts and Sciences, and the California Academy of Sciences. 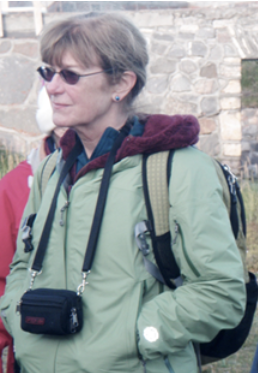 She received the Kempe Award for Distinguished Ecologists and was awarded the G. Evelyn Hutchison Medal from the American Society of Limnology and Oceanography.